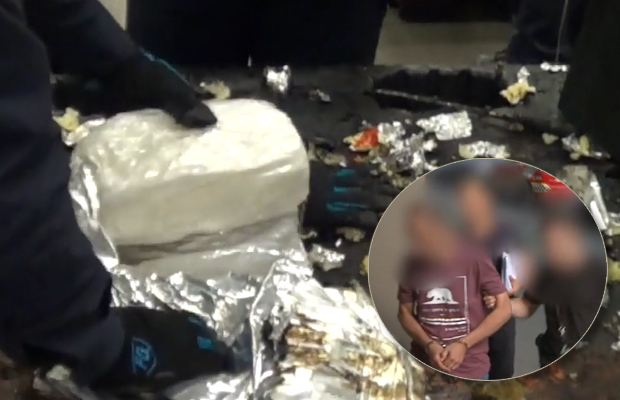 The seizure has led to six arrests in both Victoria and New South Wales. U.S. authorities said the illicit cargo - with a street value of AUS$1.29 billion, or US$900 million - was hidden in two shipping containers carrying audio equipment bound for Australia. Australian Federal Police (AFP) say they were found with "hundreds of thousands of dollars of proceeds of crime" during a raid in Melbourne. Luckily we worked with our U.S. buddies and were able to stop the shipment before it reached our shores. Police executed 10 search warrants on Thursday and Friday across six Melbourne suburbs, resulting in the arrests of a man, 31, and woman, 29, of Vietnamese origin, and American man, 52, and woman, 46. Two other Australians face the same charge. "By stopping this, we have ensured criminals will not profit from the vast pain these drugs would have caused our community", AFP Assistant Commissioner Bruce Hill told reporters. He said sewage drug monitoring data showed Victoria state-which has a population of 6.3 million-was estimated to consume just over 2 tons of ice each year.